Summing up the results of 2016, Miller told a videoconference that as of Dec. 29, 2016 Nord Stream utilization rate was 150 million cubic meters a day, or more than 100 percent of its designed capacity. Gazprom has registered the third record in gas supplies to Europe through the Nord Stream gas pipeline over the past days, reaching 165.2 mln cubic meters per day, the Russian energy giant said on Jan. 7. According to Gazprom, daily gas exports via Nord Stream have been increasing since the very beginning of 2017. Thus, it reached 160.75 million cubic meters on Jan. 1 to go further up to 161 million cubic meters on Jan. 2, to 163.1 million cubic meters on Jan. 3, and, finally, 165.2 million cubic meters on Jan. 4. "Now the volume capacity of the Nord Stream on an annual basis is 10% higher than the designed volume of the gas pipeline," Gazprom CEO Alexei Miller said. "It is not just a no-transit gas pipeline directly linking Russia’s and Europe’s gas transport systems, but, what is very important, it is a state-of-the-art and high-technology gas pipeline. It will ensure guaranteed Russian gas supplies to Europe for decades. Nord Stream-2 will have the same advantages." 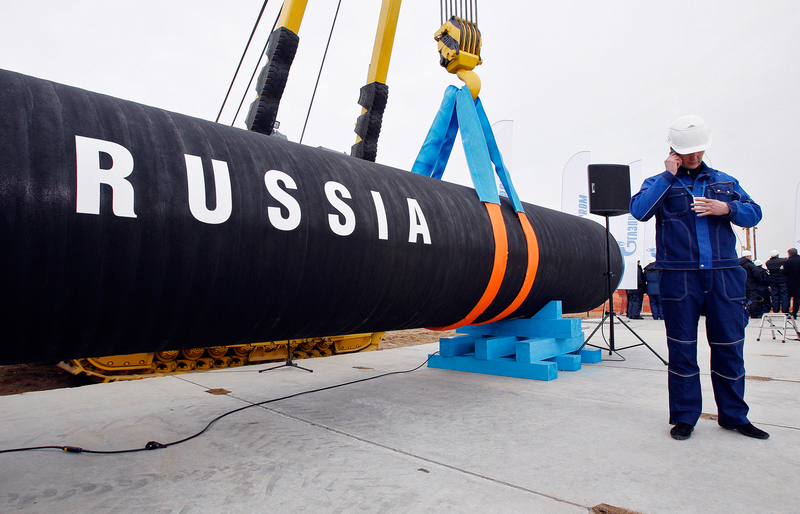 Russia gas exports have gone up after the European Commission permitted Gazprom to make 90 percent use of the Opal gas pipeline which takes Russian gas from the Nord Stream gas pipeline. Earlier, Gazprom was allowed to use Opal to mere 50 percent. In 2015, gas supplies via Nord Stream stood at 39 billion cubic meters, or 70 percent of its designed capacity. Nord Stream-2 is expected to be commissioned in late 2019. The pipeline will traverse the Baltic Sea from Russia to Germany. The capacity of each of its two threads will be 27.5 billion cubic meters a year. The project’s capital expenditures are estimated as eight billion euro, and the overall cost, taking into account project financing, is 9.9 billion euro.